Horses are masters of leadership and being team players. This is because they are prey animals and live in herds. Their survival relies upon alertness, communication, and clear role challenging and development. 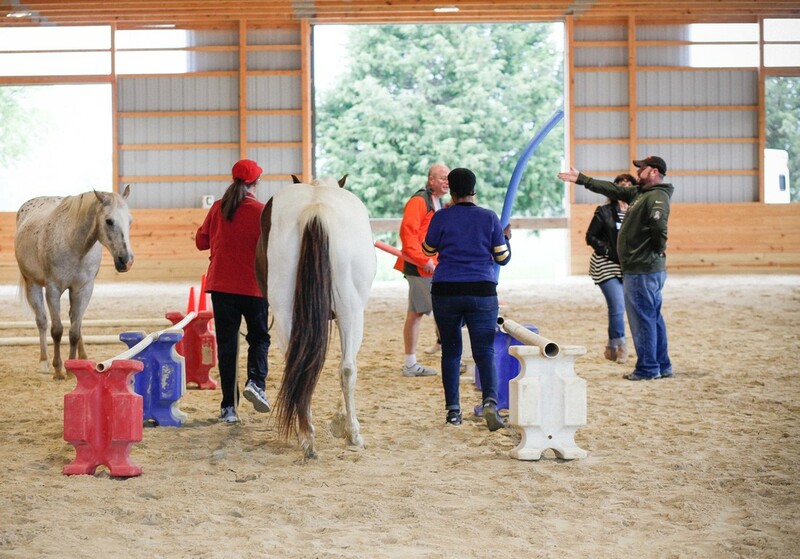 Our teambuilding and leadership trainings offer an in vivo opportunity to come face to face with your team’s skills and patterns, and create new ones. We work with nationally renowned curriculums to offer the most impactful, lasting, and profound corporate learning experience you have ever had. Call to create an event for your organization. Half day, or full day options available.